Experience the wonders of Vietnam's culture and cuisine as you travel in style on this tour. Vietnamese cuisine is highly regarded as one of the world's best, but few realize the variations that are found in the regional cuisines. Just like the country's geographical divisions, the food can also be separated in to South, Central, and Northern style. The experts at Asian Destination Travel have created this tour with a focus on food! As you travel up the coast on this twelve day tour, experience the best Vietnamese culture, history, beaches, and food, all the while staying in luxury hotels. With exclusive cooking courses and meals at top restaurants, this tour is sure to please the taste buds. Start your tour in the vibrant, modern city of Ho Chi Minh, where glimpses of French-Indochina architecture peek through the rows of new skyscrapers. Cooking courses in Ho Chi Minh city and a visit to the floating markets of the Mekong Delta are the perfect introduction to the flavors of the country's cuisine. 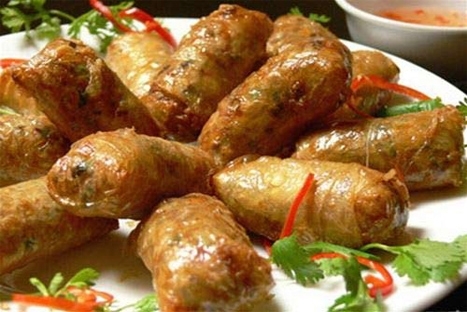 The cuisine of South Vietnam has been influenced by the cuisines of the Khmer people and thus Southerners prefer sweet flavors in many dishes. As a new land, the South's cuisine is more exotic and liberal, using many herbs. Central Vietnam is home to the quaint coastal town of Hoi An and the former Imperial Capital of Hue. These two cities are as rich in culture as they are in cuisine, and guided tours will give you insight in to the history of the region. In Hoi An, spend the morning cooking with a local family who, for generations, have been growing the regions best vegetables. And no culinary tour to Vietnam would be complete without a visit to Hue, where demanding standards of the former emperor's evolved in to a royal cuisine' unmatched elsewhere in the country. Finish your tour in the North, where the cuisine is more traditional and strict in choosing spiciness. The cradle of Vietnamese civilization, many of the country's most famous dishes (such as pho) have their birthplace in the North. Brave the bustling streets of Hanoi's old quarter to uncover the secrets of the local chef's delicacies, and head out to the tranquil waters of Halong Bay to enjoy a culinary feast aboard a luxurious colonial-replica boat. Arrive in to Ho Chi Minh City, still referred to by some as 'Saigon', and get ready to experience the exquisite cuisine of Vietnam. As you take an orientation tour, soak in the wonders of the colonial buildings and vibrant boulevards. Enjoy the flavors of southern Vietnamese cuisine tonight at dinner before returning to your luxury hotel. Let the cooking begin! Begin your culinary discovery of Vietnam with a specially-led cooking class with a well-known chef whose hands-on demonstration will help you gain insight into the diversity of the Vietnamese cuisine. After indulging in your creations, take a walk through the quieter neighborhoods of Ho Chi Minh City to discover small markets, winding laneways, and unique buildings. End your day with a meal at the innovative Xu Restaurant, the best of Vietnam's growing fusion restaurants. Head south to the Mekong Delta, where evergreen islands stand amidst the intricate network of meandering rivers. The Cai Be floating market is unlike any you've ever seen, with the vendor's wares being displayed as they hang from large poles on the bow of the boat. Lunch in a superb colonial villa nestled inside a quaint village before returning by boat and car to the big city. Step back in time as you fly from the buzzing, modern city of Ho Chi Minh to Danang and on to the quiet former trading town of Hoi An. 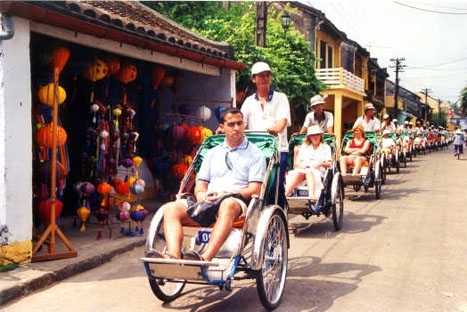 Despite the passing of 200 years and the ravages of weather and war, the center of Hoi An remains much the same as it was in its heyday, and a walking tour takes you through the historical vestiges of the town. Spend your afternoon along the town's waterways, learning about the traditional fishing techniques still used by Hoi An's residents. 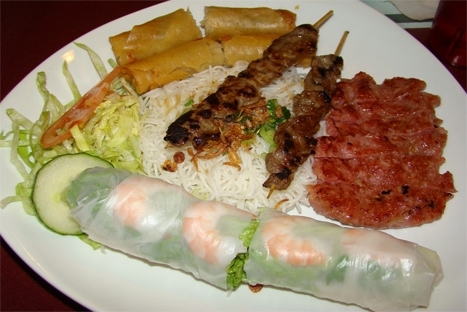 Enjoy the finest in international and Vietnamese cuisine at lunch and dinner in the area's top restaurants. Today's culinary excursion takes you to the small village of Tra Que, located on the banks of a lagoon with fertile soil known for for harvesting the country’s best vegetables. Spend the morning working among the villagers, learning how they grow vegetables and cook traditional Vietnamese dishes. Gather together with the family to share the delicious meal you have just prepared. After your morning of cooking, relax at the town's beach or spend your time browsing for souvenirs in Hoi An's art galleries and silk shops. Dinner is yet another opportunity to sample the best signature dishes of the region. A scenic drive past spectacular beaches and climbing over high passes takes you to the former imperial capital of Hue. Not only is this photogenic city graced with the Perfume River and enigmatic emperors' tombs, but it also home to the ‘Royal Cuisine'. This style of dining originated with the Nguyen Dynasty, when the rulers were served lavish meals which contained specific culinary demands. The delicious flavors of the royal cuisine continue to tempt modern palettes, and you will have a chance to sample this famous cuisine this evening at one of Hue's best restaurants. Start your day with a visit to the local market. As you wander through the aisles abundant with fresh produce, learn more about these local ingredients that are infused in to the region's foods. Explore the rich culture of Hue with visits to the elaborate mausoleums of the Nguyen Emperors. Travel through lush rice paddies and countryside on your tour, before ending your day with a sunset dinner cruise on the iconic Perfume River. After your flight to the country's capital, take an insiders walking tour of Hanoi's old quarter. Along the way, witness the vibrant life of the locals, watch elaborate noodle dishes being created at street stalls, and have a meeting with a traditional medicine man. This area is a delight for the senses- constant chatter of the street vendors and honking horns, bright colors of fabrics and food stuffs for sale, and smells of herbs and spices being cooked on every corner. 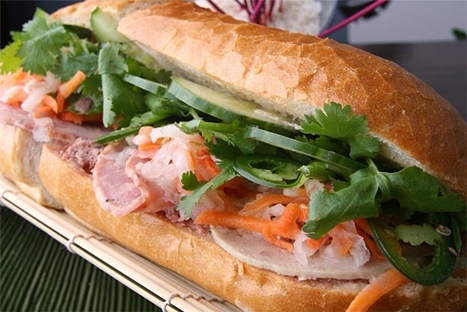 Dine in style with some of the country's best cuisine as you enjoy lunch and dinner in Hanoi. This morning take part in a cooking class at the Didier Corlou cooking school. An award winning chef, Didier's knowledge of Vietnamese cuisine is outstanding. After lunch, take a tour of the city's Ethnology Museum, where you observe Vietnam's diverse culture through the Museum's unique presentation of articles and dress used in daily life. The journey to Halong takes you through the rich farmlands of the Red River Delta and the scenery of rice fields, water buffalo and everyday Vietnamese village life. Board the Emeraude a wonderful replica of one of the classic steamships of the French Colonial era. Have lunch as you cruise among hundreds of dramatic limestone karsts to discover unspoilt pockets of Halong Bay. Visit a cave, go swimming, kayak, take part in a Vietnamese spring roll cooking demonstration on the sundeck, or simply relax as you wind through the Bay. As you return to Halong City, enjoy a wholesome brunch as your boat weaves through strange-shaped limestone rock formations. On the way back from Hanoi stop at a premium, Vietnamese liquor maker where local spirits are produced through a combination of traditional and modern methods. Cap off your culinary tour with an exclusive farewell dinner in the heart of Hanoi's Old Quarter.